BookBairn and I would like to introduce you to the newest member of clan BookBairn. On Wednesday 26th April we finally welcomed our little bundle (well not so little at 8lbs 15oz) in the form of baby Harvey. This 'Wee Page Turner' (for that is what we finally decided on as his blogger handle) has changed our lives in so many ways already! BookBairn is taking to be a big sister fairly well though she doesn't like it when he cries and looks for reassurance and cuddles. She's also had a few 'attention-seeking moments', one of which unfortunately involved my phone being dropped in the toilet (it survived and to be fair to her she has been playing with her little toy characters on the edge of the toilet seat for a while now it's just unfortunate the first thing she actually threw in was my phone). But she has also had some truly sweet moments like helping with his first bath and showing him her toys whilst he's stretched out on his playmat. It's such a huge change for her and I think she's realised that he's here to stay so she will just have to get used to him. Fortunately for her, he has excellent taste in toys and have her a beautiful wooden Noah's ark with lots of animals that she adores. In short, our lives are dramatically and beautifully changed and we are all adjusting to the new rhythms. The lovely Kate from 'Along Came Poppy' knows exactly how much of a change a new sibling can be with three gorgeous children and an enviable picture book library. She very kindly wrote this beautiful letter to us in the days before our new arrival and sent us a copy of the book she recommends as baby's first book. And we read it with The Wee Page Turner in his first week home for his first bedtime story. I hope you are holding on to your seats because your world is about to be turned upside down (yet again) and, to borrow Nancy Tillman’s words, “Life will never be the same”! Welcoming Bookbairn into the world was undoubtedly the most amazing experience for you all but do not worry the (somewhat late) arrival of her little brother will certainly be just as incredible and certainly as life changing. 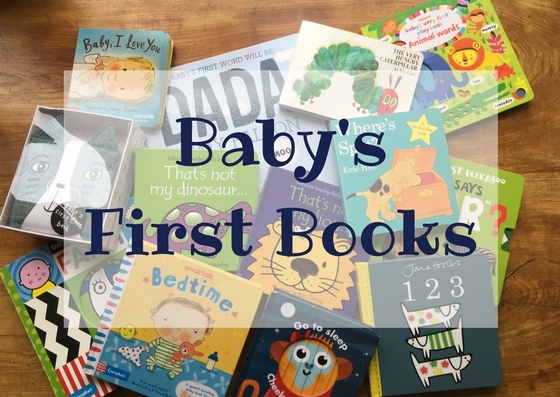 Your whole family dynamic is going to shift and, as well as, witnessing your new baby’s very special “firsts”, this time round you will also see a beautiful sibling bond develop between Bookbairn and her brother. I won’t lie to you, raising two children is not always going to be easy (sometimes I’m sure it will be a blooming nightmare) but, in all honesty, nothing brings me greater pleasure than watching my three little ones together. Their kindness and tenderness towards each other surprises me each and every day. I am also amazed at just how different they are, it really is incredible. You are certainly in for the most wonderful ride! If you hadn’t already guessed from the slight clue above, I have chosen “On the Night You Were Born” to add to your new baby’s library. It is a very special book to me as I received it as a gift from a book loving friend when my youngest child, Poppy, was born. I had never encountered the book before but even now, 18 months later, the memory of first reading it aloud to my tiny newborn floods me with emotion. So be prepared to shed a tear or two dozen! The book wonderfully celebrates the uniqueness of every baby and I am a firm believer that every child is very special, a miracle even. The pictures are perhaps a little quirky but fit with the rhyming text, which flows very easily. Personally I have two favourite parts of the book. The first is where you are asked to whisper your baby’s name aloud, it is then described as being carried by the wind and the rain until everyone has heard it, such a beautifully heart warming idea! I also love the image of the polar bears dancing to celebrating the birth of the baby. This really does make a fantastic first book for any baby, but if your new arrival already has siblings, I feel that this book is even more perfect. 'On the Night You Were Born' is a beautiful book that I shared with BookBairn right at the start of this blog, having been lent it by a friend, and yet reading it this time with The Wee Page Turner it somehow felt different - I was crying by page two. I guess what I'm saying is this is a truly perfect first baby book as it works it's magic on new parents, who will of course be the ones who appreciate it most in those first few months of reading. Thank you so much Kate for sharing your letter and this book with us. It really was a magical first bedtime story. 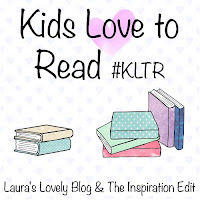 Kate is the writer of Along Came Poppy, and enjoys writing her mostly bookish blog, reviewing books with her three children. 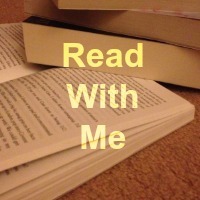 One of my favourite posts is her 'Reasons Why I Read to My Baby'. You can also find her over on Twitter, Instagram and Facebook. Wow! How did MummyBookBairn find time to write a blog with The Wee Page Turner only 8 days old and BookBairn making her usual demands. This sounds like a lovely book but I'm not sure I should read it because I'm bound to burst into tears. I look forward to watching BookBairn and The Wee Page Turner grow up together and to read the future blogs involving both. Well done MummyBookBairn. Thank you! A lot of time was spent thinking it over! We all like a good story in clan BookBairn! Welcome to the book club, Wee Page Turner! Thank you! Lots of great people in our book club so he's in good company! And for now he's the littlest member! Thank you! He's a wee star! 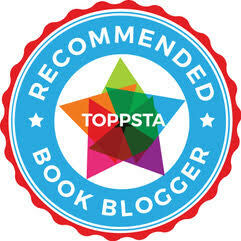 Wow, welcome to the world Wee Page Turner! That book sounds wonderful and I can completely understand why you would be feeling a little bit emotional reading it! Thank you! An emotional book but very beautiful! Loved your post. He certainly does have a great taste in books already. Thank you! I hope his taste in books will continue to be this good! Thank you! And Kate is the loveliest!